With the Top 10 single “Ho Hey,” the Lumineers left their indelible mark on pop culture. The push began in Denver, where the band members fostered their talents the old-fashioned way. Singer and guitarist Wesley Schultz and drummer Jeremiah Fraites grew up in New Jersey; they started playing music together in 2005. In an effort to get noticed, they played open mics in New York City with the ambition of ascending to small clubs. Having come of age during the 1990s, Schultz and Fraites had run through grunge and other styles of music. By the time they took up residence in Colorado, the duo had started developing the kind of Americana songs for sitting comfortably on a front porch. The Lumineers’ initial shows took place at the Meadowlark, an intimate basement club where the local songwriters cultivating Denver’s cozy folk-pop scene gathered. Schultz and Fraites performed at open-mic night every Tuesday, depending on word of mouth to fill the 72-capacity space. Their music landed on receptive ears. Subsequent to placing a ad on Craigslist for a cellist, the Lumineers recruited Neyla Pekarek, a multi-instrumentalist and harmony singer. They released an EP and began to tour at homegrown places. “Ho Hey,” with its call-and-response structure and delusively cheerful chorus—“I belong with you/You belong with me”—emerged as one of the favored folky ditties. After showcases at the South by Southwest festival, the band received favorable mentions in top newspapers (New York Times, Los Angeles Times, Chicago Tribune), and radio airplay picked up steam. After seducing the alternative format, “Ho Hey” made its mark on the pop charts, where its acoustic moves—folksy guitar, tambourine and handclapping—were encircled by electronic beats and synthesized hooks. The hit boosted the Lumineers into ubiquity—‘Ho Hey’ was heard during a CW’s Hart of Dixie episode, in a Bing commercial, on a Saturday Night Live performance. 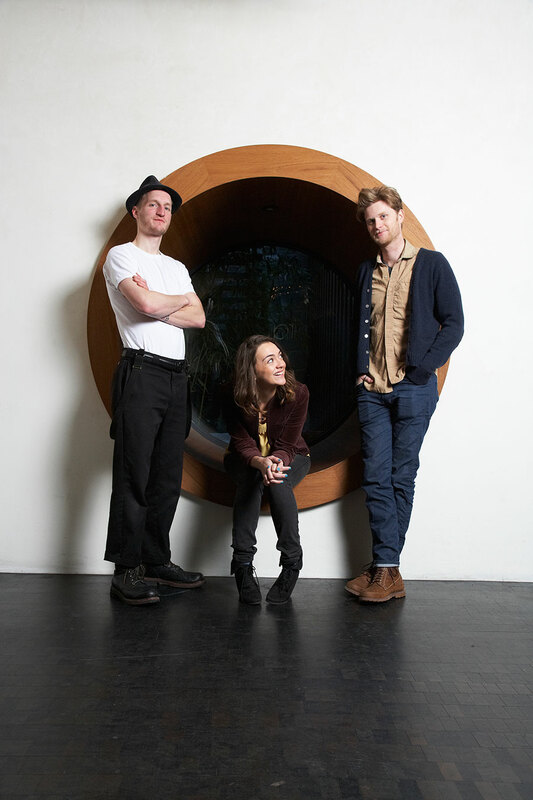 The Lumineers’ self-titled debut album peaked at #2 on the Billboard 200 the week before the Grammy Awards; the band got two nominations, for Best New Artist and Best Americana Album. For tours, the members added bassist Ben Wahamaki and keyboardist Stelth Ulvang, and the group found itself leading the worldwide revival toward all things rootsy in popular music. The Lumineers’ second album, Cleopatra, debuted at No. 1 on the Billboard 200 in 2016.